Ryōan-ji is temple of the Rinzai Myōshin-ji sect in Ukyo-ku Kyoto-shi, Kyoto. 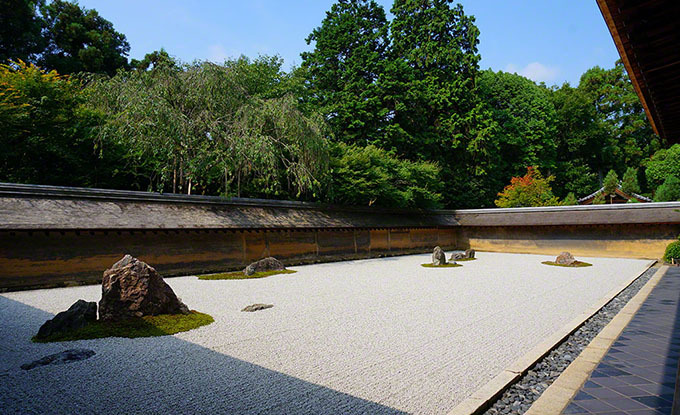 Queen Elizabeth is also said to have praised, was placed slightly seventy-five tsubo white sand on the magnitude fifteen stone rock garden is famous. 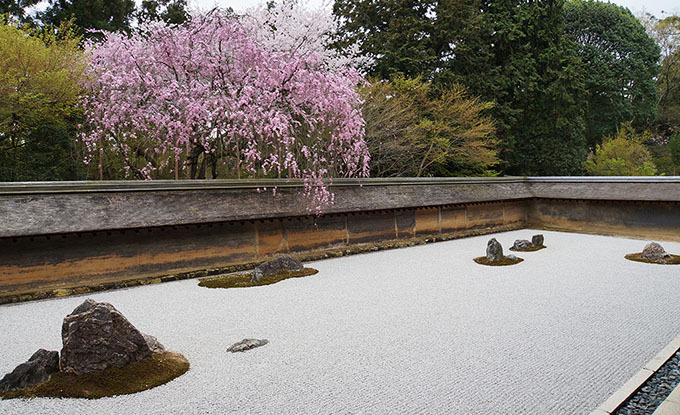 Ryōan-ji has been a World Heritage Site as part of the “Historic Monuments of Ancient Kyoto”. Posted in 洛西エリア and tagged 世界遺産(World Heritage), 桜名所, 紅葉名所.